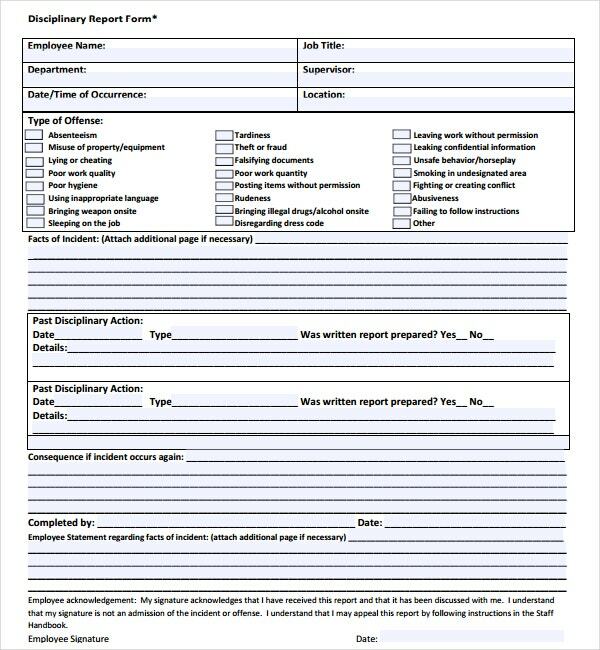 For those of you who are in charge of administering disciplinary actions, then you know that you’re supposed to report the kind of disciplinary actions that you had to take. You’re supposed to do this as your boss or bosses should know why a particular employee is being disciplined and when the action was carried. 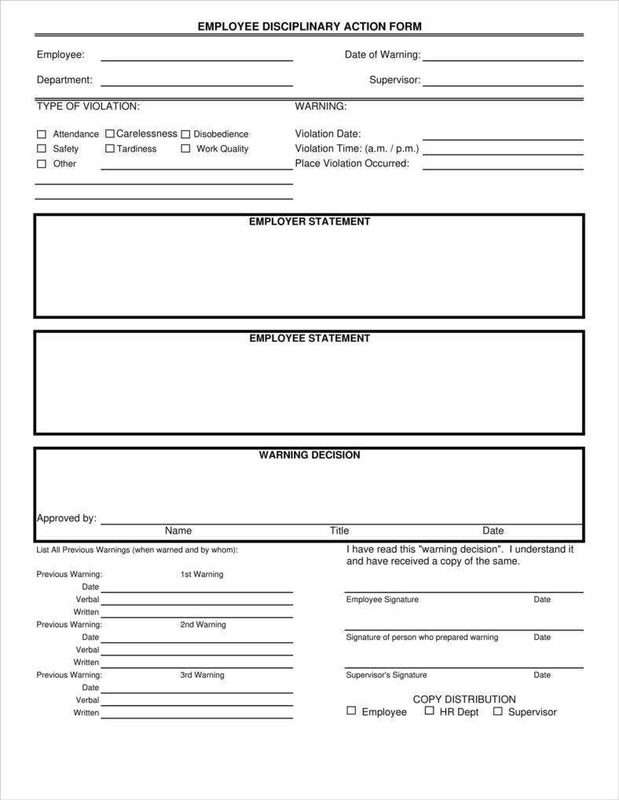 You may also like sample employee report templates. This is the reason as to why you must learn to create a disciplinary report as all the information it contains is necessary for helping people understand why you administered the disciplinary action. This article will focus on how you are going to be able to create such a report. Before you even start making your disciplinary report, you’re going to have to take a seat and discuss with Human Resources in regards to the disciplinary review process that the company has in place. Your employer might have a process concerning who has the authority to actually create the report and administer disciplinary and counseling reports. For example, some employers give supervisors authority to recommend disciplinary action, but only managers can actually prepare the documentation, meet and discuss with the employee in regards to the issue, and require that the employee take steps to improve his performance. Because let’s say that you create the disciplinary report and you don’t even have the authority to actually create one. Your report might just make you look like someone who doesn’t know his/her place, or it could go very badly for you and you may even end up with a verbal warning from your own employer. So follow the rules of your company and you shouldn’t run into any trouble. If you’re still in the process of actually administering the disciplinary action to the employee, then you should do it as soon as possible. Disciplinary action has to be administered swiftly. So you shouldn’t let weeks or even days go by without addressing problems related to employee performance and behavior. You need to be someone who is able to recognize problems quickly and act on them as soon as you’re able to spot any. Also, you need to be able to know the right kind of disciplinary action that needs to be taken before you administer it. Because if you end up suspending an employee for something as small as being late once or twice, then not only will it give you a bad reputation, but there can also be some serious repercussions in the form of unfair treatment charges against you. Once you’ve done all of that, then the next step is actually placing it on the disciplinary report. All you have to do is write down the kind of disciplinary action that you had to take to solve the issue, the date in which you were able to create the report, and an explanation as to why you chose that particular disciplinary action to deal with the issue. Remember that you’re going to have to be detailed when you write the report, but it doesn’t have to be too long either. Make sure that it’s brief enough that the person reading it won’t find it too much of a chore to go through, but at the same time containing all the information, one needs to get the gist of the situation. If you’re able to do that, then you’ll have a disciplinary report that most people wouldn’t be able to make. You may also see monthly report templates. 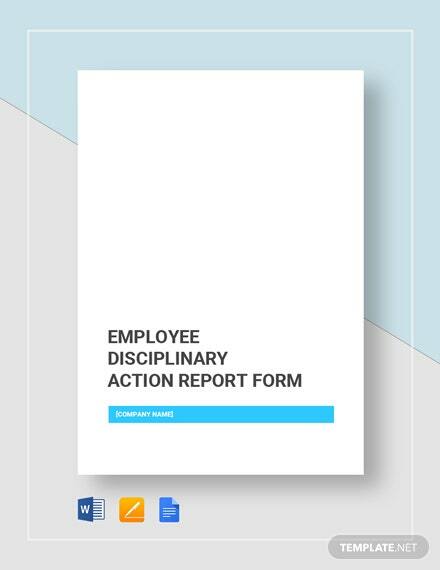 While you’re creating the disciplinary report, refrain from creating statements that may sound too opinionated or ones that contain too much of your own personal interpretations in regards to the employee’s performance and behavior in the workplace. Check your workplace guidelines or employee handbook to cite the precise rule the employee violated. 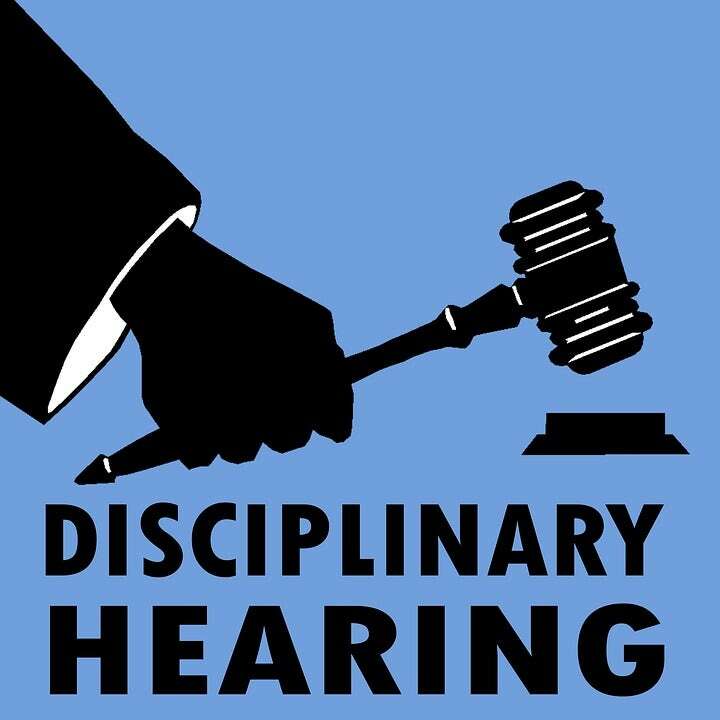 If the disciplinary action you’re going to administer isn’t for a specific violation of certain workplace policies, then what you can do is back up the action with evidence that shows poor employee performance or behavior. Include references to past performance evaluations or earlier disciplinary actions for the same infraction as this is very useful evidence to show that the employee deserves the disciplinary actions that you had to administer against him/her. Another thing is that you shouldn’t include any statements that judge an employee’s character or non-work-related competency. You do not want to sound like a big jerk to your employers and you want to show that the way you judge an employee is through his/her ability to work and not his/her personality. So avoid making statements such as “Ray apparently isn’t able to use his common sense during the times where it’s most important”. Sentences like that won’t get you anywhere with your employers and you might even find yourself in trouble with the employee, so it’s best that you avoid something like that. You may also like summary report templates. Also, if you’re caught lying or fabricating false information into your disciplinary report, then don’t be too surprised if you find yourself out of a job. Always write down just the facts and nothing else to avoid any major problems with your employers. You may also see strategy report templates. When you’re writing down the behavior or performance problem that the employee is facing, remember that you’re going to have to be specific when doing so. Also, you shouldn’t make it too long that the person reading it will find that it’s a hassle to go through, but one that he/she will be able to go through and understand easily. So all you have to do is write down the problem in a specific manner and don’t sweat on the details. For example, if the employee has been showing that he/she has been doing awful in terms of meeting the sales quota, then make a statement like “Jack has been unable to meet with the desired number of sales for the past 3 weeks”. You may also like action report templates. Also, you have to write down the solution to the problem (in this case the, the disciplinary action that you had to administer). Again, you have to make sure that you were able to follow the policies of your company when you administered the disciplinary action or at least have some sort of evidence to back you up with your decision. Do that, and you should have no problems when writing down the reports. If you’re going to create a disciplinary report, then you have to make sure that there are no errors in it whatsoever. This isn’t just limited to grammar and spelling errors (although these are just as important), this also means in terms of the information that you’re trying to present. If you say that an employee has been accused of conducting an offense but has yet to be proven or isn’t true at all, then that would only mean that you’ll end up looking bad in front of both your employer and the employee. So do a thorough review of your disciplinary report and make sure that your fix any errors that you are able to spot immediately. You may also like investigation report templates. If you believe that your report is one that’s going to become a particularly contentious topic during the disciplinary meeting, then you should definitely invite someone from the HR department or another manager to join the conversation. If you’re going to create a disciplinary report and showcase it to others in the company that will determine as to whether or not the action you will take is feasible, then it’s best that you do so in a place that’s private. You should never do it in a location where other employees may be able to hear whatever it is you have to say about the particular employee you’re reporting about. This is just humiliating and even you wouldn’t want to hear anything about yourself, especially if it’s from another person that you consider as someone in a much higher position than you. You may also like sample reports. Reserve a conference room to conduct a private meeting or invite the employee to your office. Once you’re able to have this private room, you may then invite the employee to participate in the meeting. The next thing that you’re going to have to do is to discuss the contents of your report where everyone that’s participating in the meeting will be able to understand what it is you have to share. Once you deliver the document, give the employee a copy, ask him to sign it and schedule a follow-up to monitor future performance or measure progress. If you’re the employee’s supervisor, then remind the employee that you’re there to provide him/her with all of the help that he/she needs. You have the tools and all the other resources that should help the employee meet the standards of the company, so it’s your responsibility to make sure that it happens. You may also see sample report templates. If you would like to learn more in regards to how you should go about in creating a disciplinary report or anything related to the matter, then all you have to do is go through our site, find the articles that contain the information you need, and utilize whatever you have been able to gather to help you and your business out. 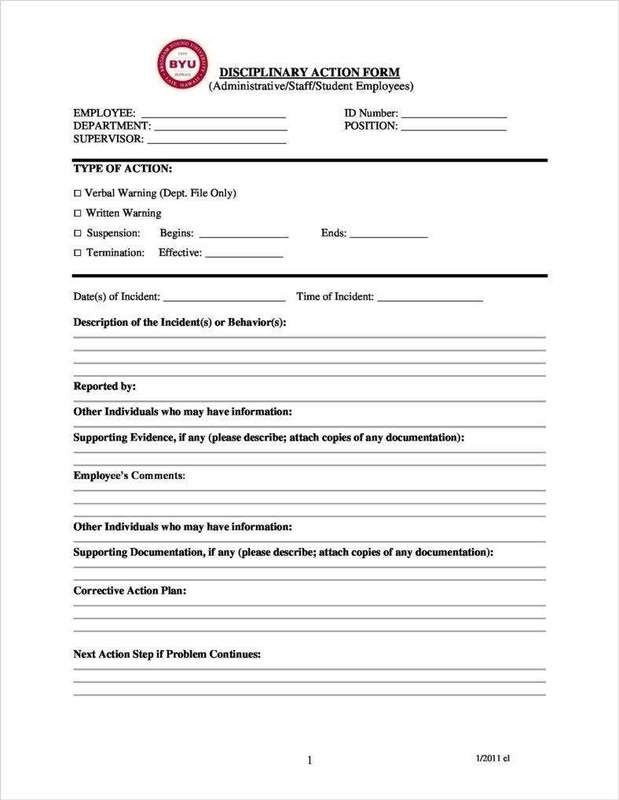 You may also like incident report templates.